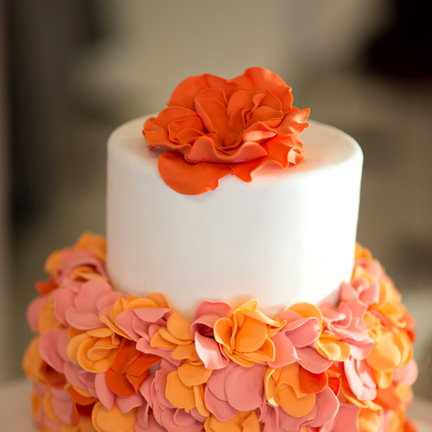 Amazing colors and texture on this adorable cake. A special thank you to Options Photography for sharing this amazing picture with us!!! 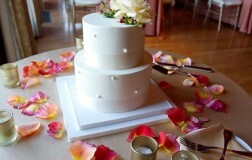 Two tier cake finished in ivory fondant. Be the first to review “Shabby Chic” Click here to cancel reply. 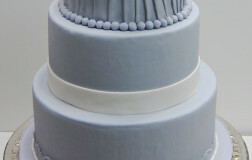 The pleating design is really interesting on the top tier. 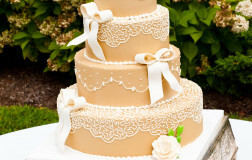 This cake also has a slight vintage feel to it as well with the lace banding on the bottom tier. 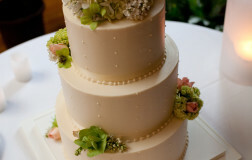 This is a sweet and delicate cake that was designed for a smaller, more intimate wedding. 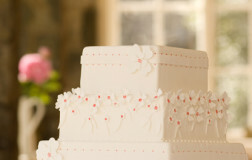 Such a romantic wedding cake. Loving the pop of red in the flowers. 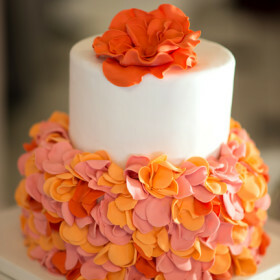 This cake is quite unique since it is stacked on top of smaller cakes. A special thanks to Options Photography for sharing this incredible image with us. 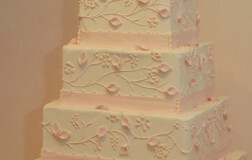 The piped flowers and vine details are quite elaborate on this cake and very time consuming to do. 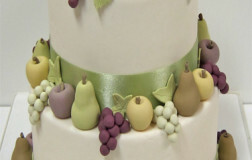 The leaves are handmade and applied onto the cake to give the design more dimension. A special thank you to Options Photography for sharing these images with us. 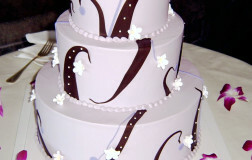 We have designed this cake in so many various ways. It looks beautiful and original each time. 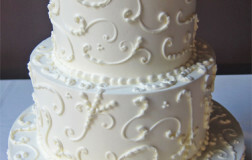 This is our French Lace Doilie Cake. This first image was photographed by Options Photography. 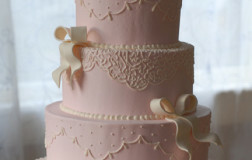 This cake design is so versatile. 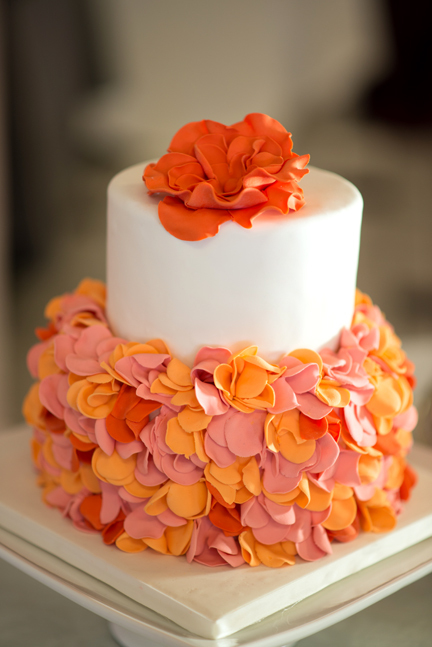 Don't be afraid to add your personal preferences to a cake design. Check out some of our other versions. Trendy and quite chic. 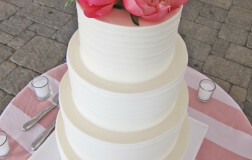 This cake is tinted in a soft pink color. 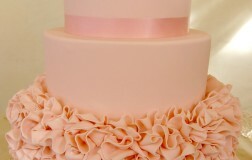 The ruffles add such a dramatic look to this cake that was featured at Castle Hill. 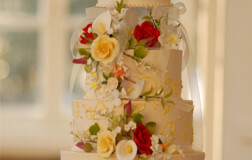 A wedding cake with a simple design and accented with bold flowers, makes quite a statement. 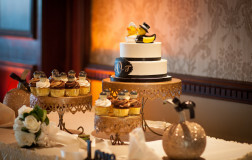 Perfect cake for a Newport Wedding! 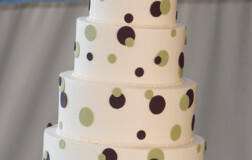 Simple polka dots and unique colors add an interesting design element to this wedding cake featured at Castle Hill in Newport, RI. An unusual pattern; paired with a soft color pallet creates a striking look. 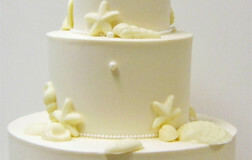 Shells and pearls accent this adorable cake. Love the uniqueness of this cake. 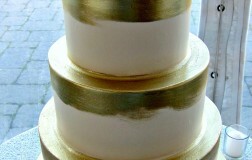 The gold painting adds a unique element to the design. 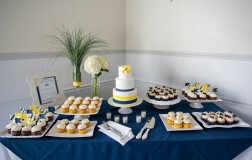 We can also create favors or special desserts to compliment the wedding cake as well. Please inquire. It is really all in the details. An ordinary cake can transform into a beautiful cake by adding color and details. A giant shout out to Options Photography for taking this image and sharing it with us. 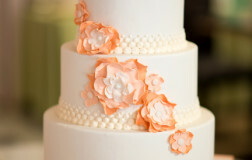 The muted color tones adds a great deal of softness to this cake. 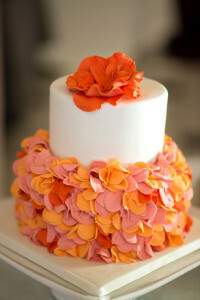 This is such a great cake for many different types of events. I just cannot say enough about the cake topper. Just so adorable...who doesn't love ducks! I am sure they were the talk of the wedding.